An Indian Bollywood action film following an unemployed alcoholic, Pratap Narayan Tilak, struck by the prevailing inequalities in his country, as he attempts to fight for the rights of the poor. The son of a former freedom fighter and inspired by a journalist, Megah Dixit, Pratap aims to encourage the people of his small village to be more independent and stand up for their freedom. Dissatisfied by the community's lack of proactive effort, he is forced to take matters into his own hands as he comes face to face with heavy corruption and collusion between the police, prominent politicians and gangsters. 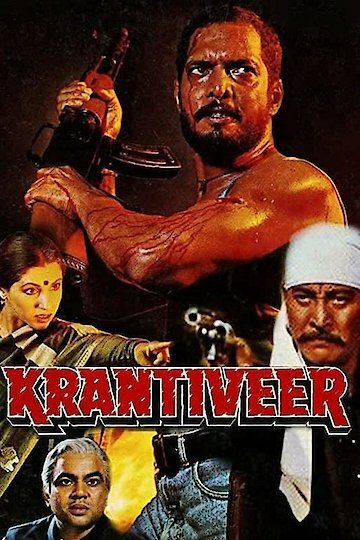 Krantiveer is currently available to watch and stream, download, buy on demand at Amazon Prime, Google Play, YouTube VOD online.